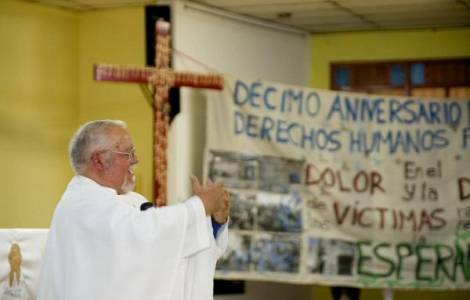 Bogotà (Agenzia Fides) - Today two important meetings begin in Bogota, promoted by the departments of CELAM (Latin American Episcopal Council), which will focus their attention on the pastoral care of human rights and the pastoral care of indigenous peoples in Latin America. According to information sent to Agenzia Fides from CELAM, both meetings will end on November 9th. To reflect on the role of the Church in accompanying communities so that their rights are recognized and respected is the goal of the meeting entitled "Pastoral Care of Human Rights" organized on the occasion of the 70th anniversary of the Universal Declaration of Human Rights and of the canonization of Mgr. Romero, from the Justice and Solidarity Department of CELAM and Caritas Latin America. As of today, 35 representatives from 13 countries will participate in a series of activities, which include some fundamental reports on the topic: the analysis of the human rights situation in Latin America and the Caribbean, by Javier Cirulizza of the Ford Foundation; Cardinal Baltazar Porras’ analysis on the reality of human rights in Venezuela; the doctrinal foundations of the pastoral care of human rights illustrated by Father Felipe Zegarra, professor of Theology at the CEAL of Perú. The experiences of accompanying the victims will be presented by Father Jesús Mendoza, of the Caritas Social Pastoral Care of Mexico, while some reflections on the Declaration of Human Rights will be presented by Laura Vargas of the Episcopal Commission for Social Action in Peru. The indications that will emerge from the group work will constitute the lines of action of Caritas Latin America for the years 2019-2023. The second meeting that opens today in Bogota is convened by CELAM’s Department of Culture and Education, on the situation and pastoral care for the indigenous peoples of Latin America. Bishops, priests, religious and laity will exchange views to identify lines of action that take into account the realities of the communities, in the light of the Word of God and of the universal Magisterium. In particular, some aspects related to the magisterium of Popes Pius X, John Paul II, Benedict XVI and Francis will be taken into consideration.